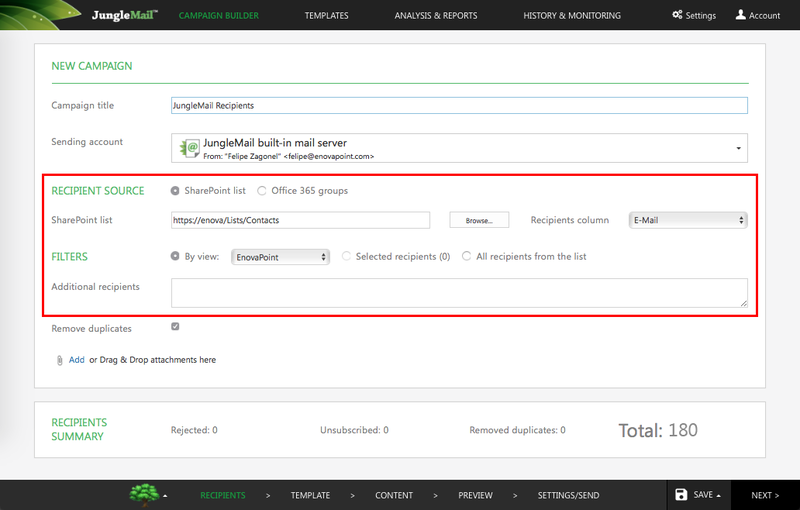 Yes, JungleMail for Office 365 allows you to send group emails to multiple selected items from your SharePoint Online list as well as to list views or entire SharePoint lists at once. The recipient source by default is “SharePoint list” and is populated automatically using the current URL. If necessary, you can click the Browse button and specify a different SharePoint list. You can also use Office 365 groups, distribution lists, and Security groups.